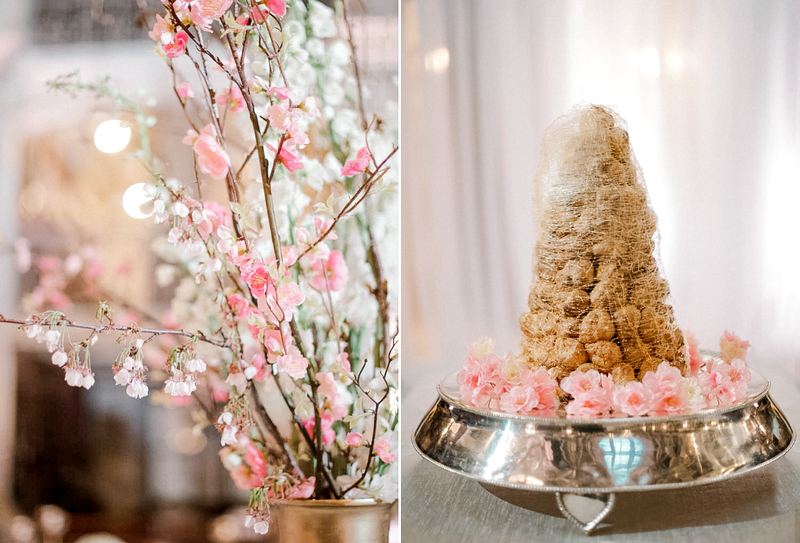 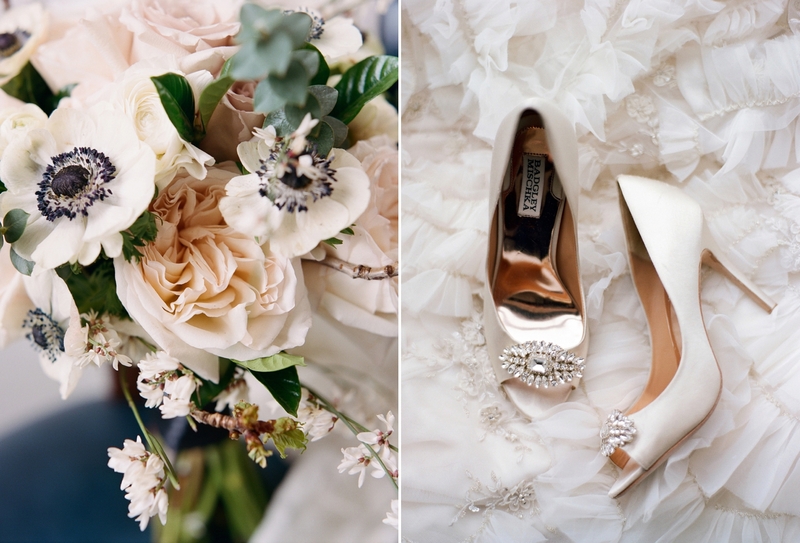 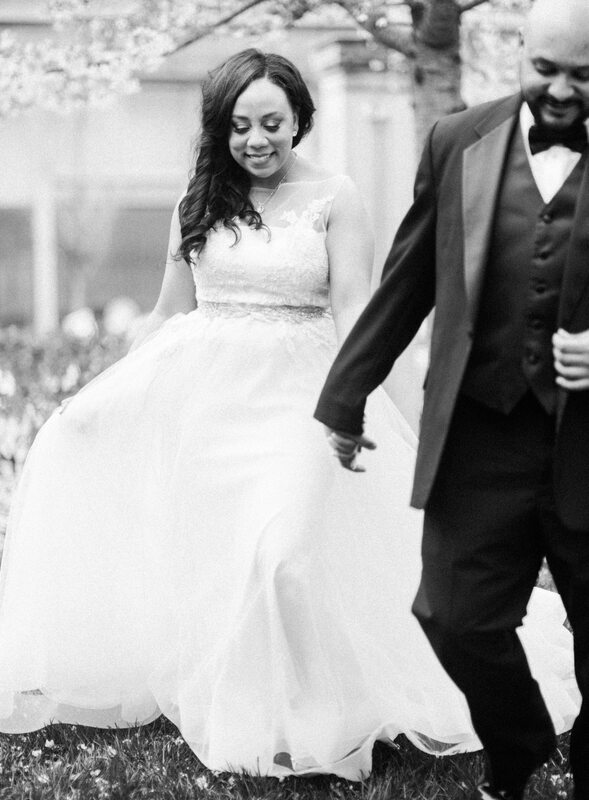 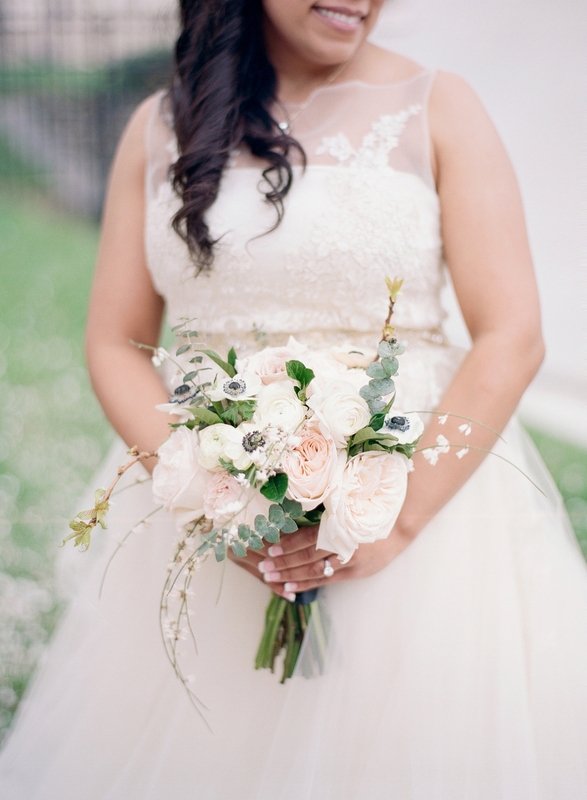 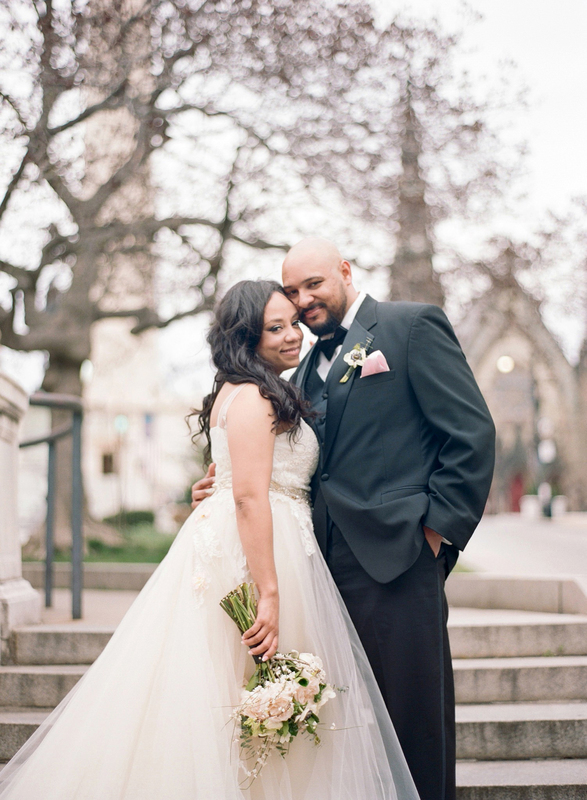 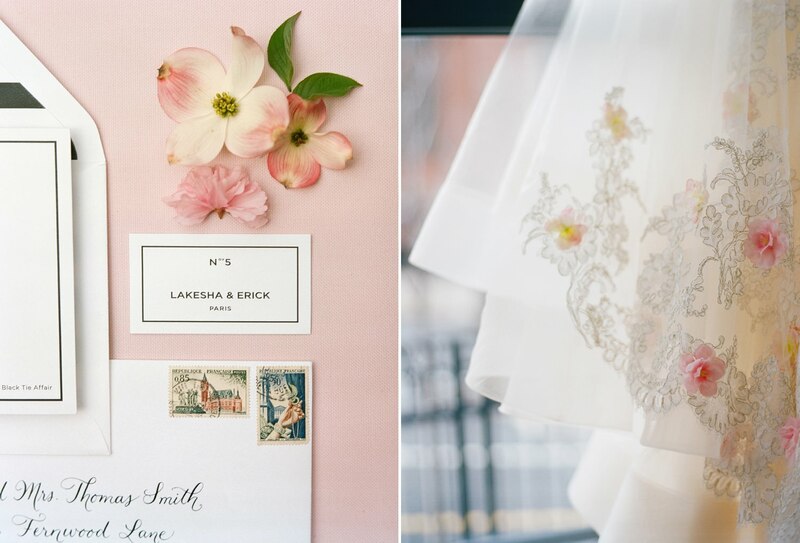 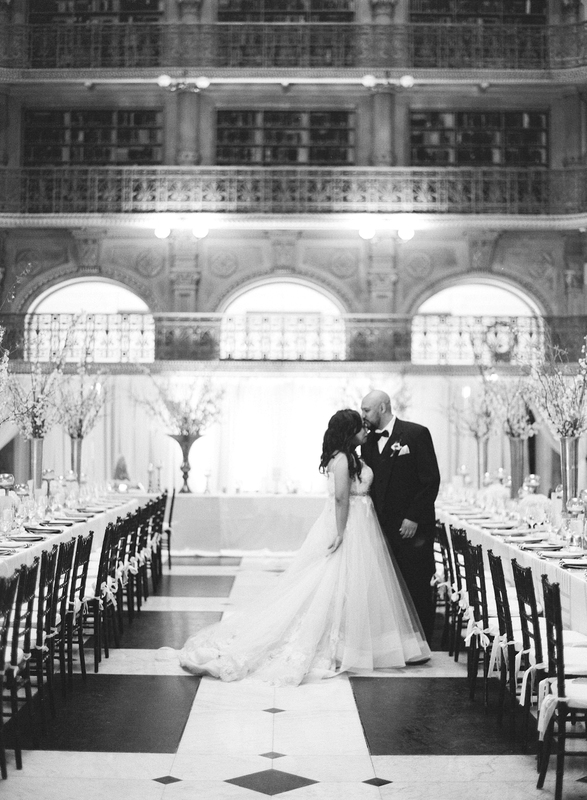 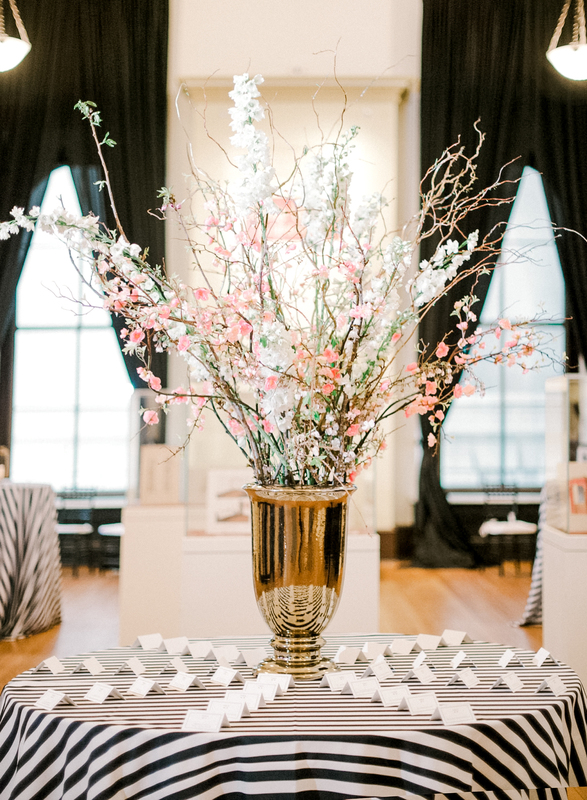 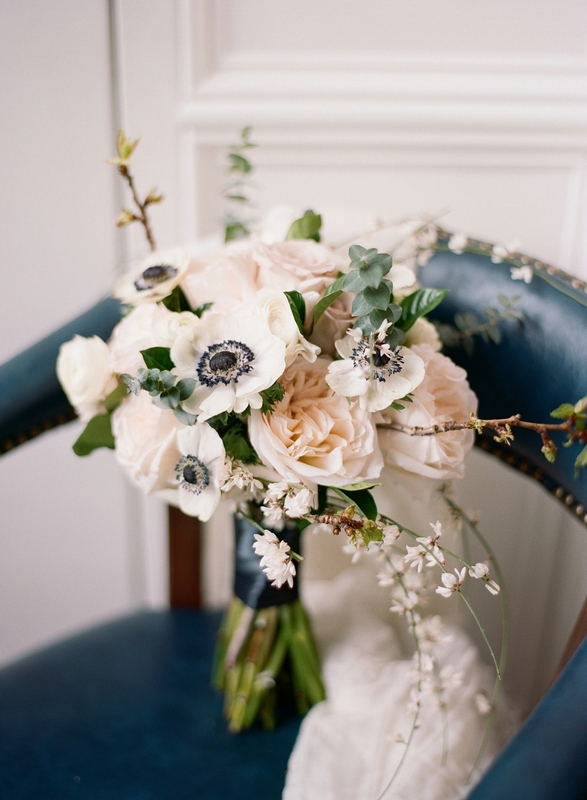 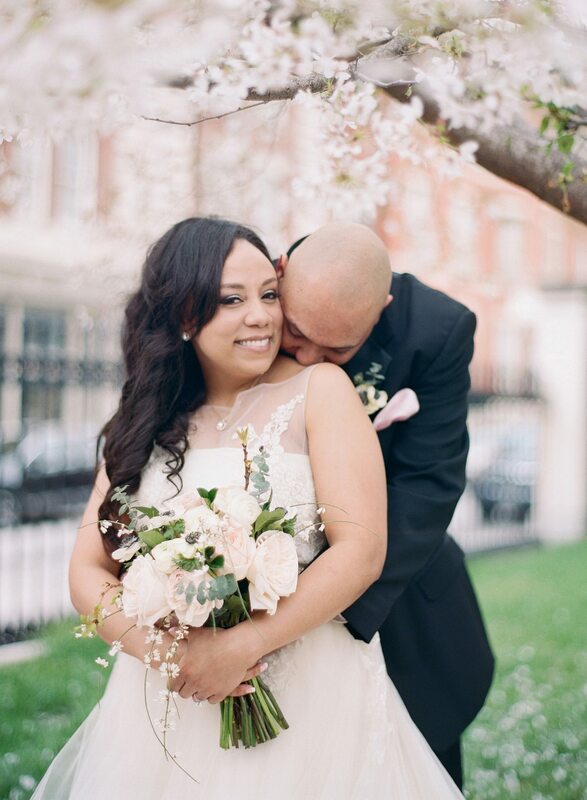 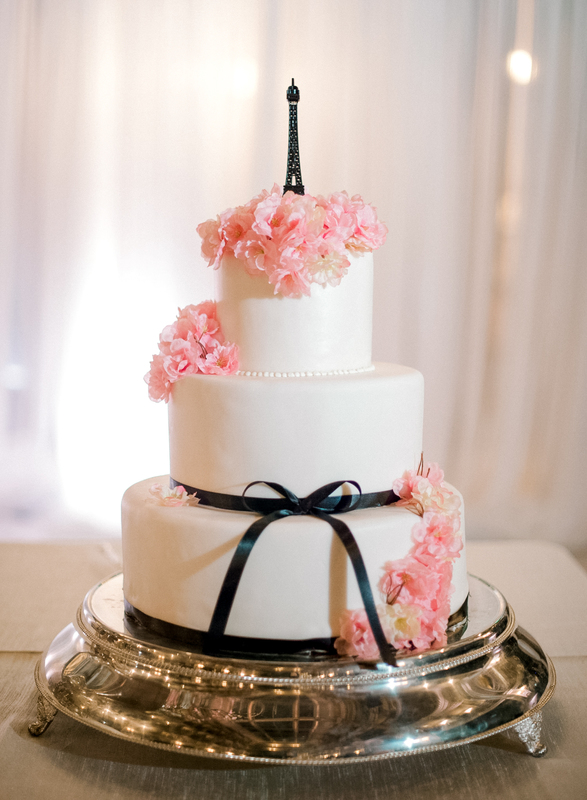 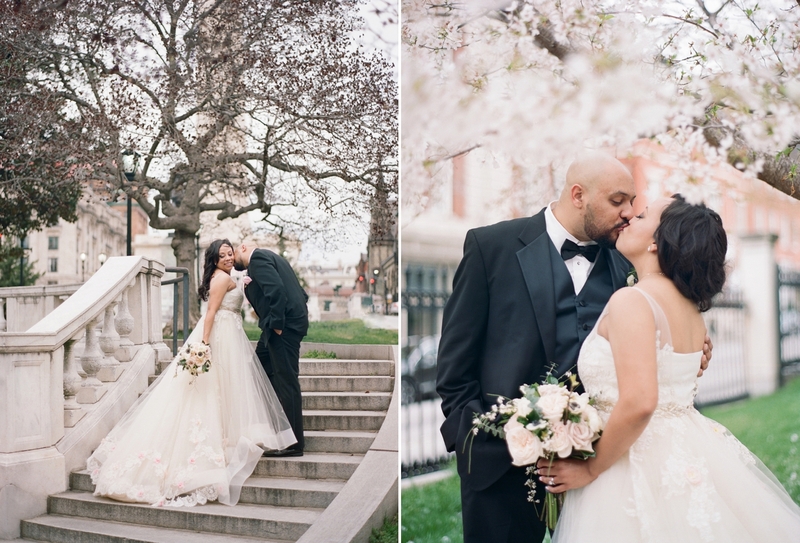 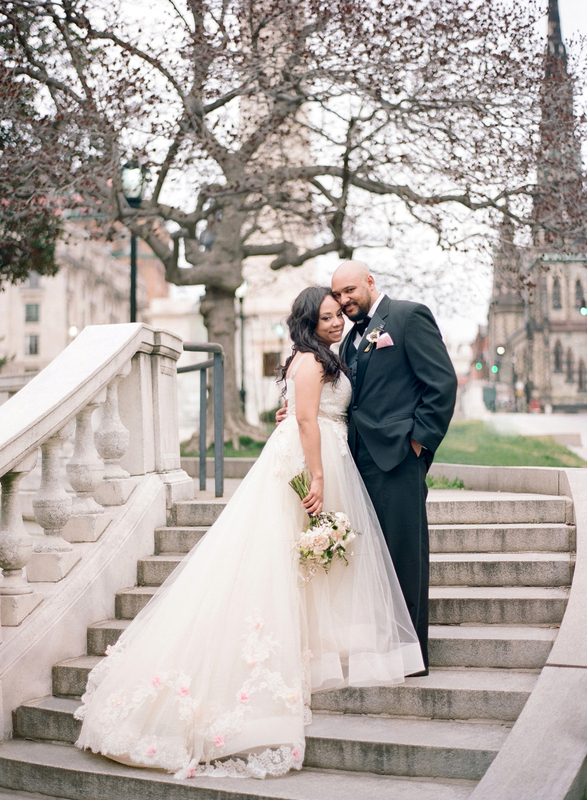 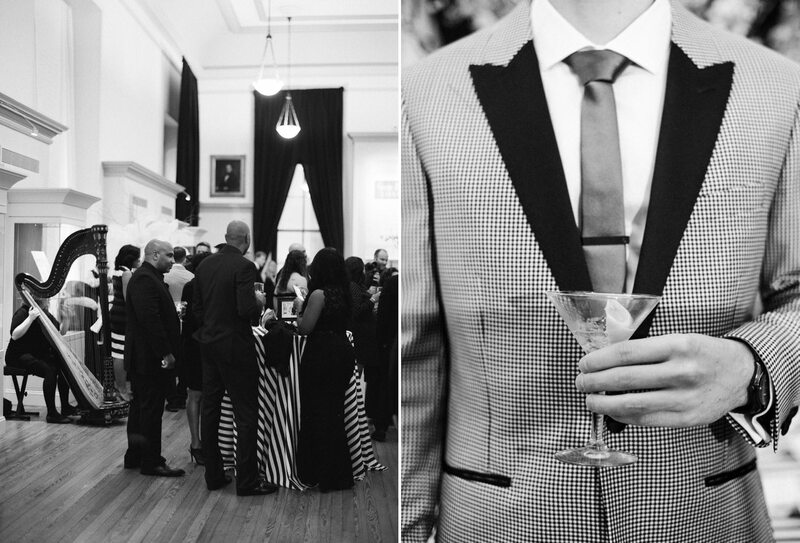 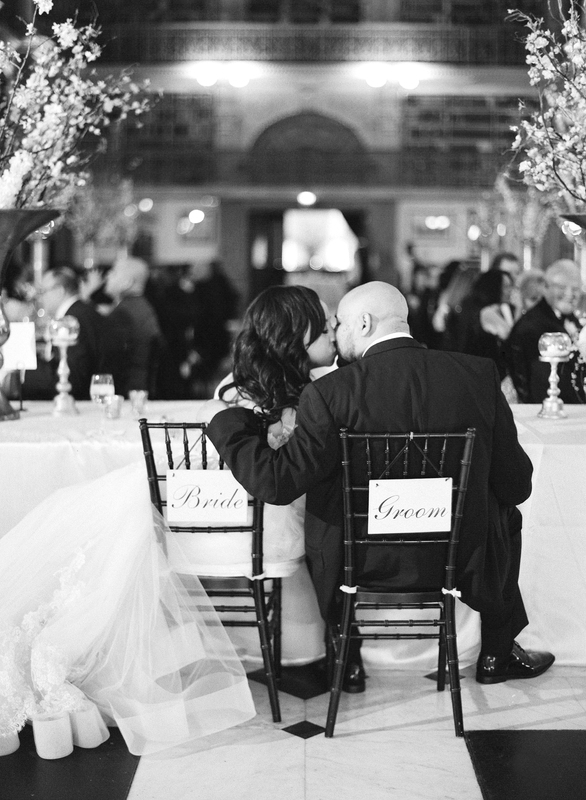 When your clients dream up a Parisian-inspired Cherry Blossom wedding at the George Peabody Library in Baltimore, you know it’s going to be an incredible day from start to finish! 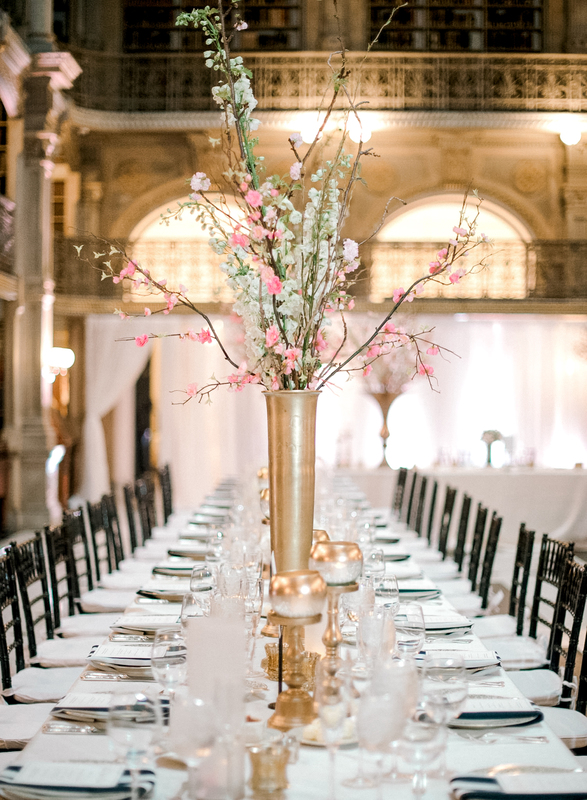 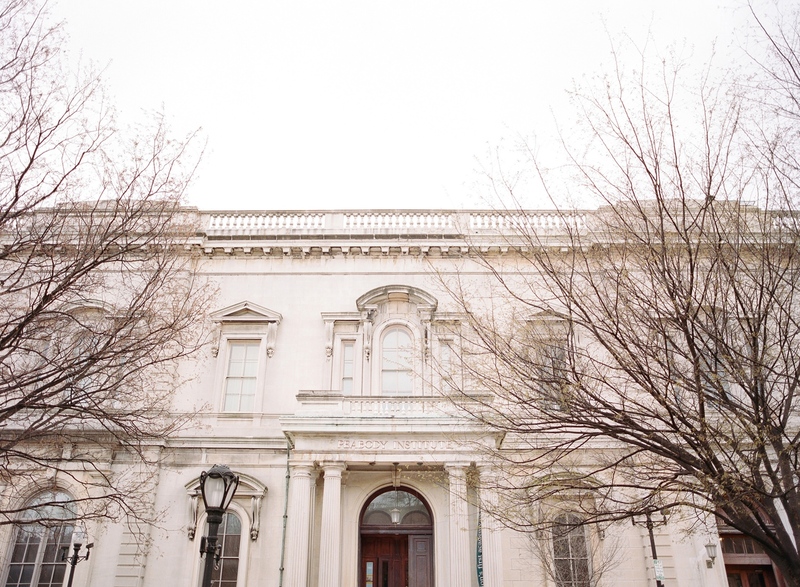 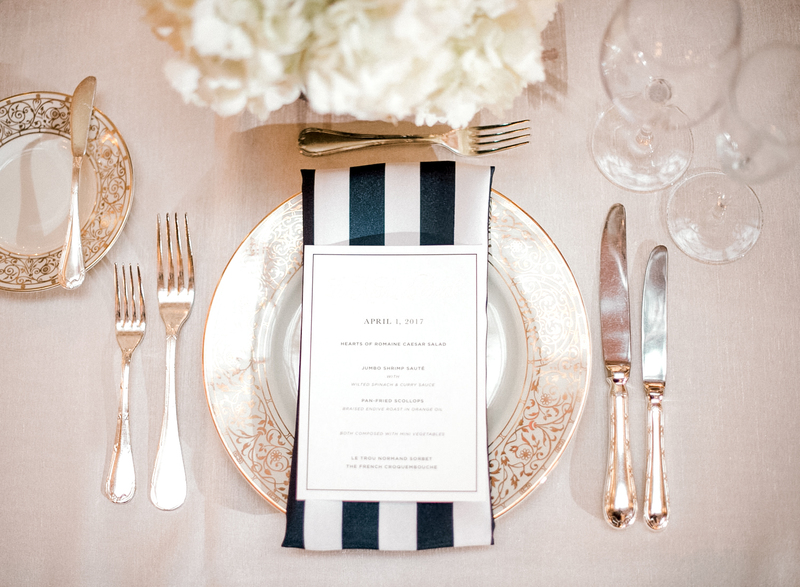 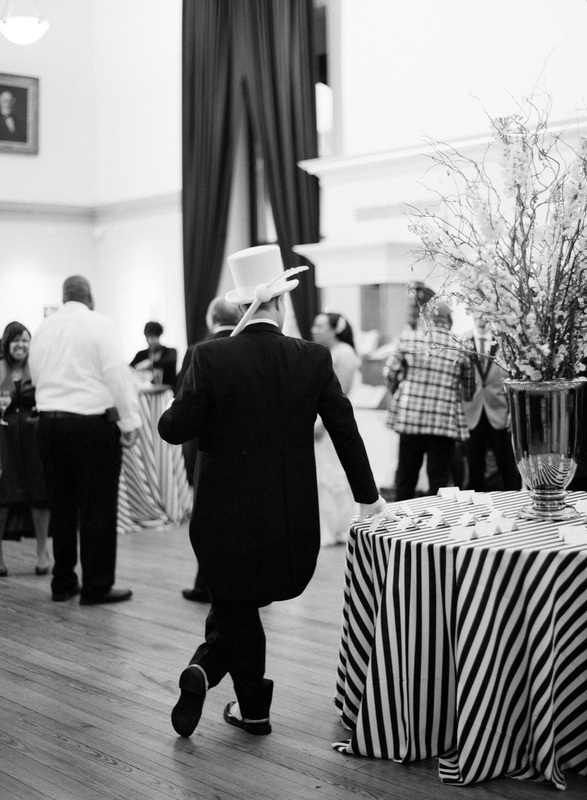 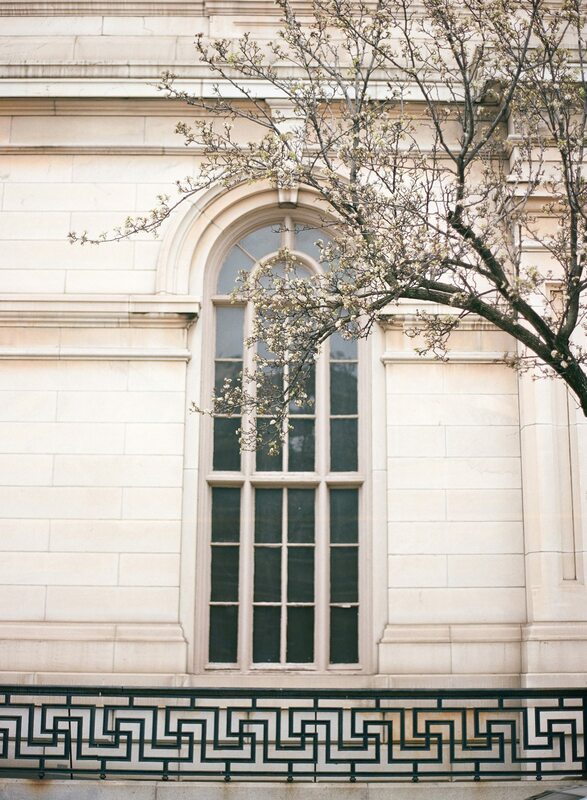 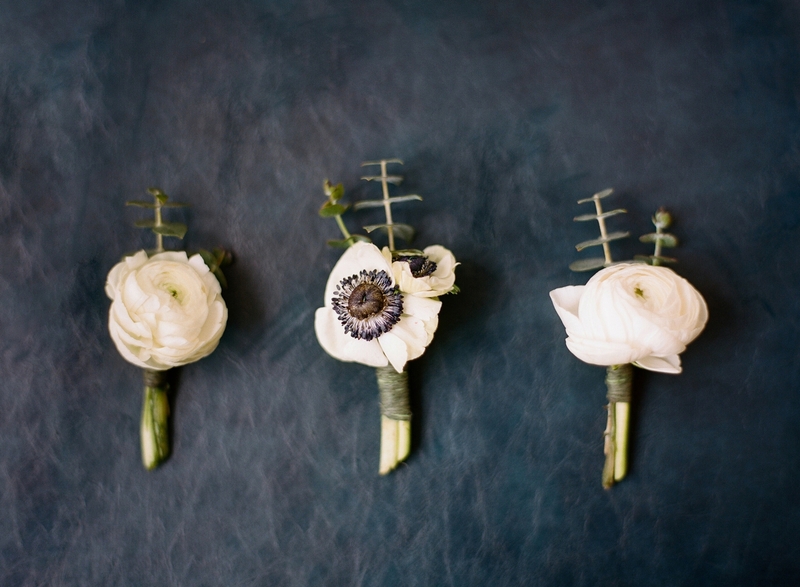 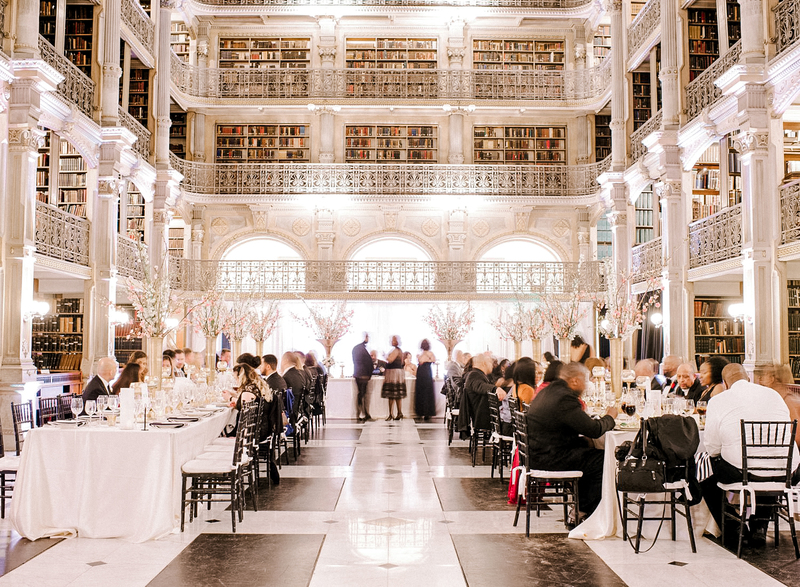 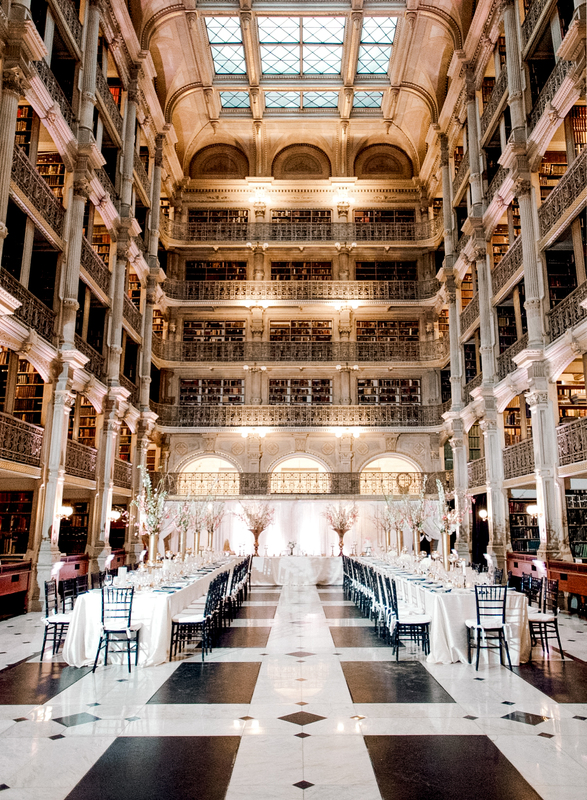 Masterfully designed by Elle from Elle Ellinghaus Designs, this gorgeous wedding day began with portraits beneath Baltimore’s beautiful cherry blossom trees and transitioned into the George Peabody Library where the couple met their guests for a night of dinner and dancing. 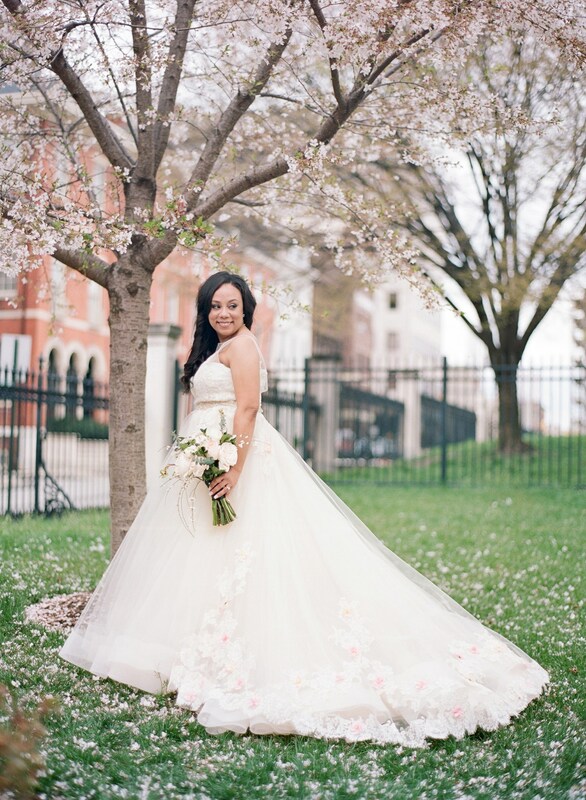 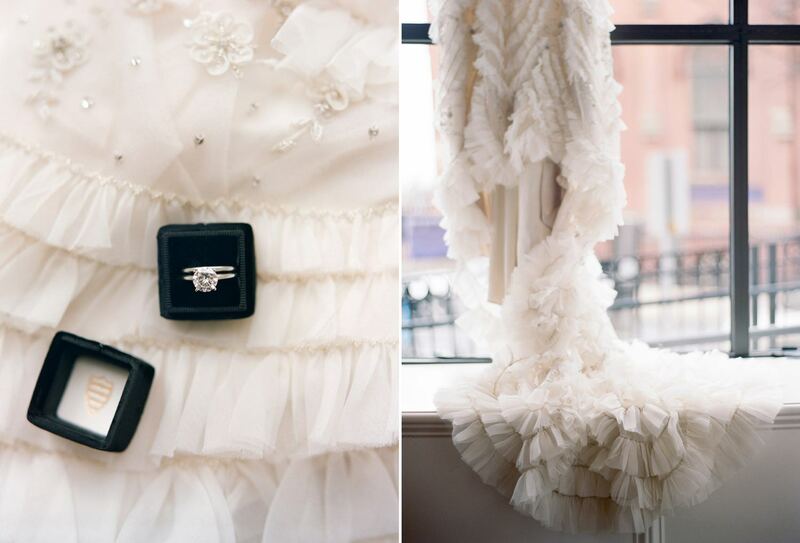 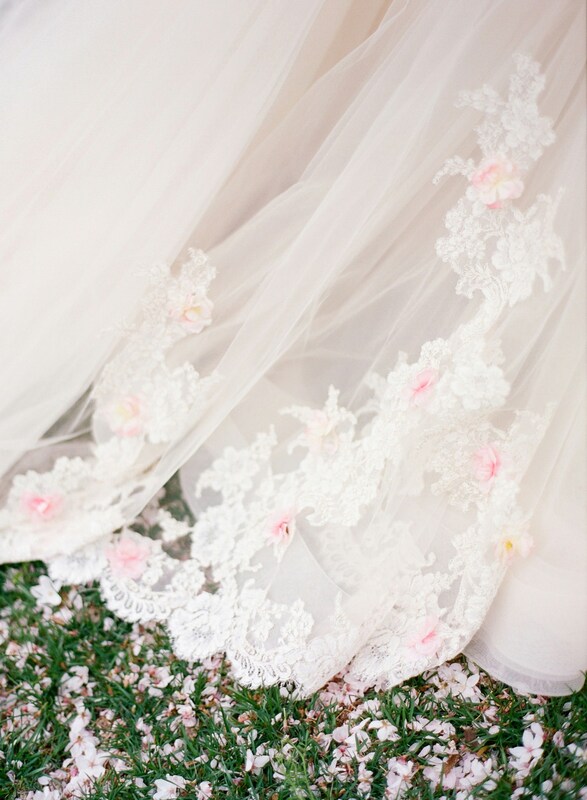 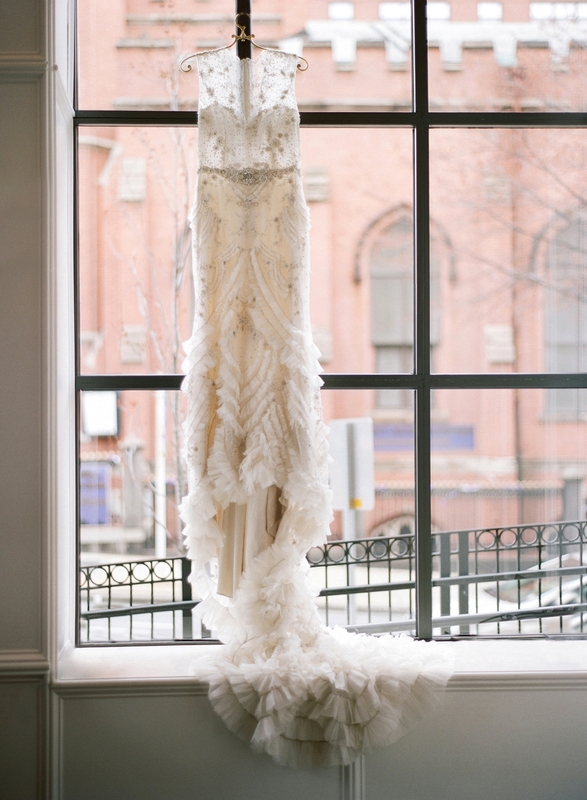 The bride wore two incredible gowns; one of them even included hand-embroidered cherry blossoms on the gown’s skirt! 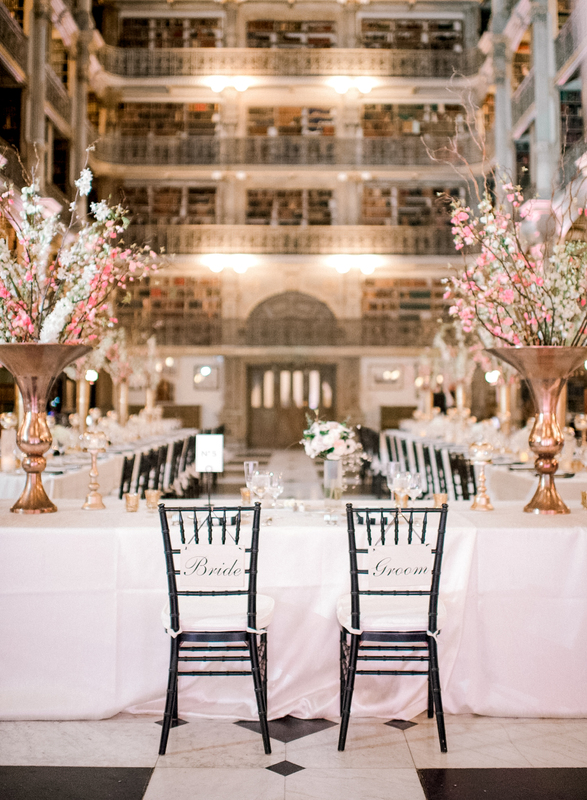 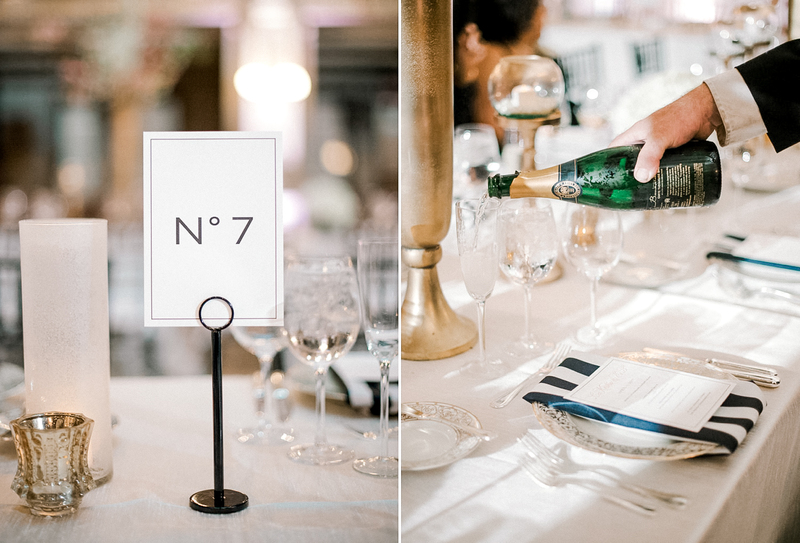 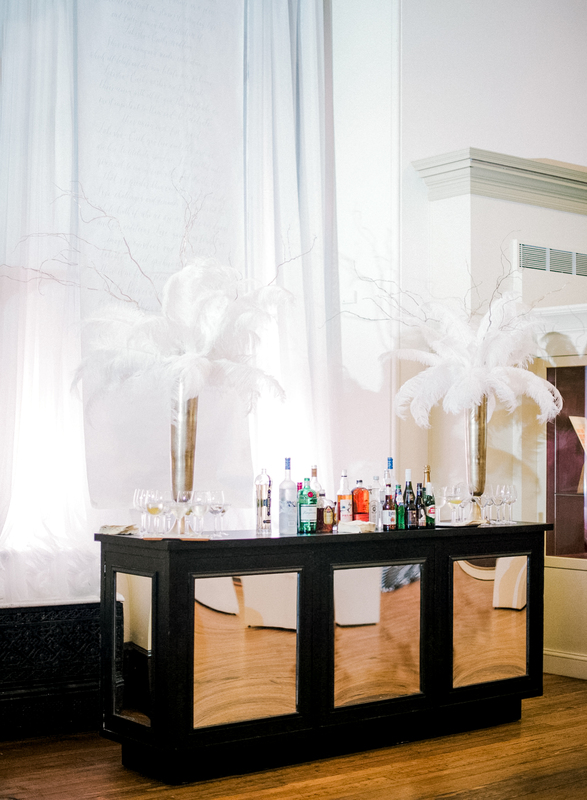 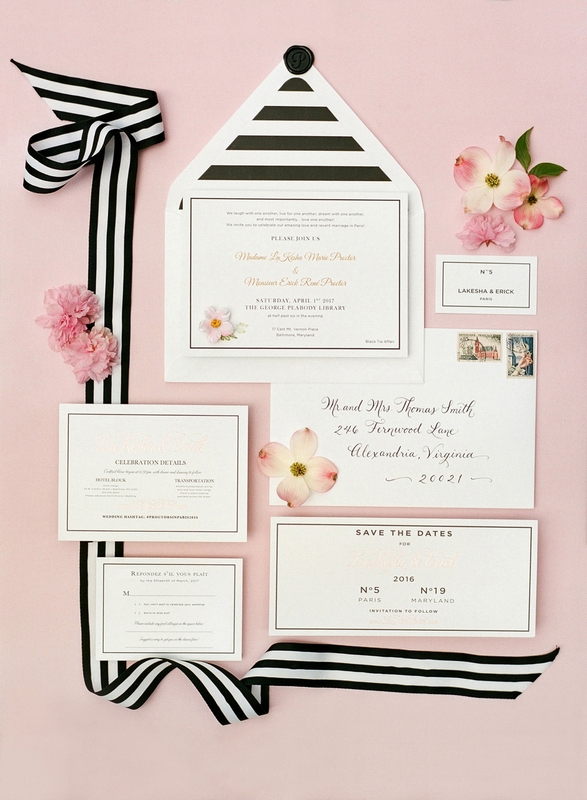 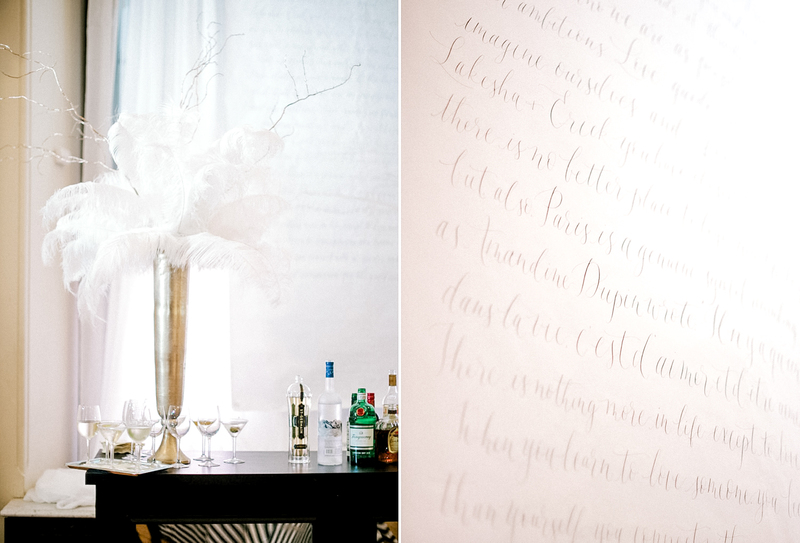 Spring florals paired with chic Parisian black and white accents, made for the perfect backdrop for the couple to celebrate with their guests under the endless balconies of books and cherry blossoms in the Peabody Library.